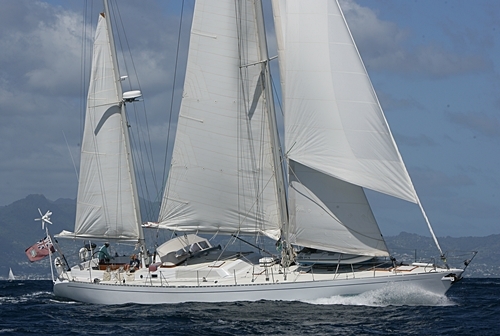 Sailing Yacht SHAITAN OF TORTOLA was designed and built by Ron Holland in 1981; she has undergone 3 refits, the last being in 2011. 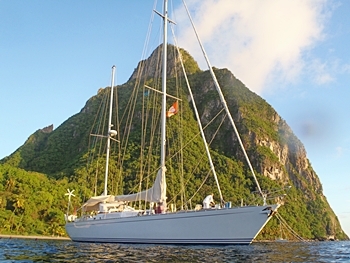 S/Y SHAITAN OF TORTOLA measures 24.9m (82ft) overall and 22.8m (75ft) on deck, she boasts 4 spacious cabins for up to 10 guests and is available for charter in the Caribbean. 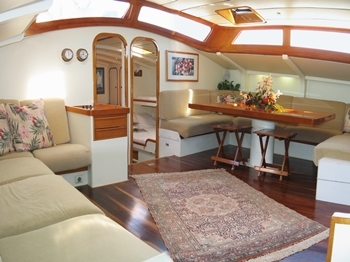 Yacht SHAITAN OF TORTOLA has a warm and inviting interior featuring fine maple wood, off white panels and gorgeous variegated teak floors. 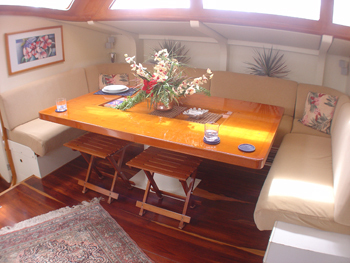 The salon offers a large neutral toned sofa to port and an additional sofa to starboard with a formal dining table. 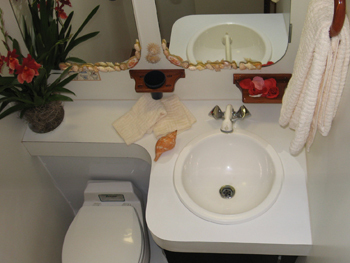 A raised deck house design opens the space and allows ample natural light to illuminate the salon, while also providing plenty of head room. 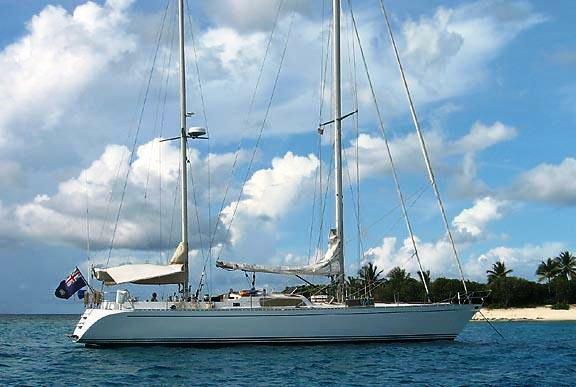 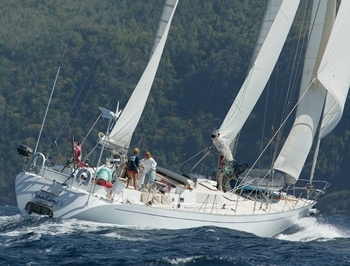 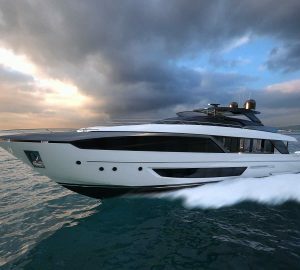 Charter yacht SHAITAN OF TORTOLA was built with elegance and style but also incorporates speed and performance. 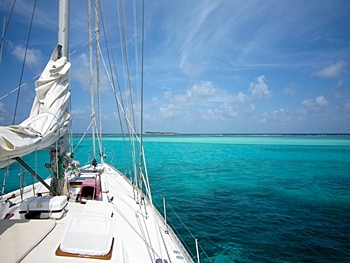 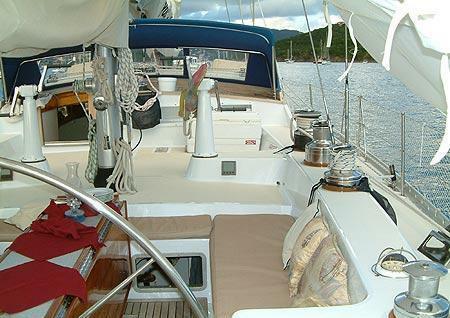 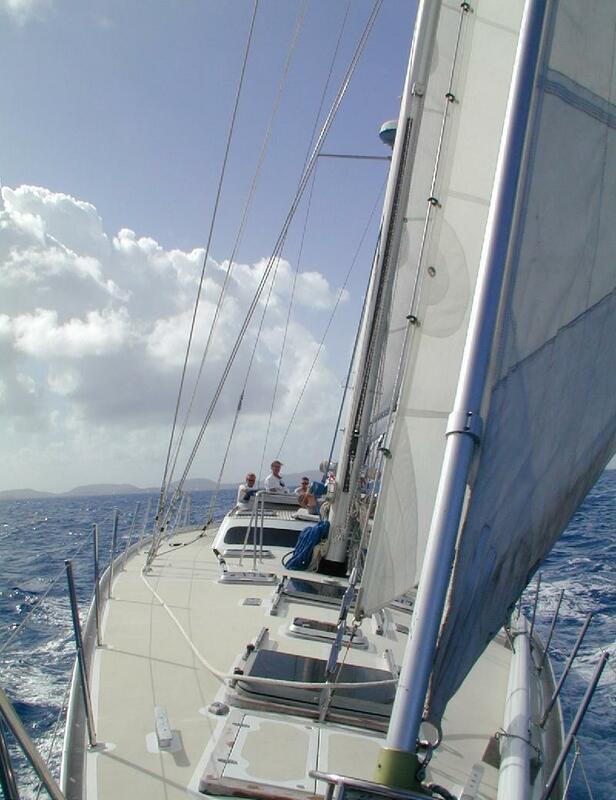 Aboard the SHAITAN OF TORTOLA sailing yacht there are generous deck areas to enjoy. 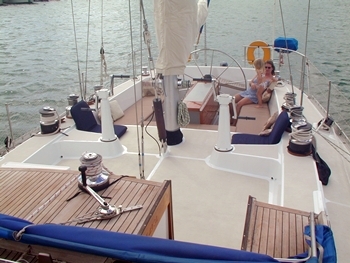 A large aft cockpit offers an alfresco dining option and comfortable seating. 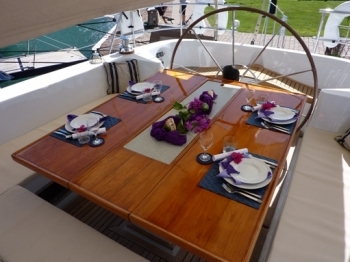 The side decks are wide and uncluttered giving easy access to the ample foredeck and cabin house sunpads. 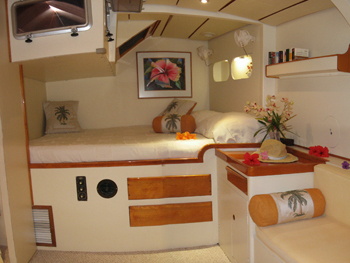 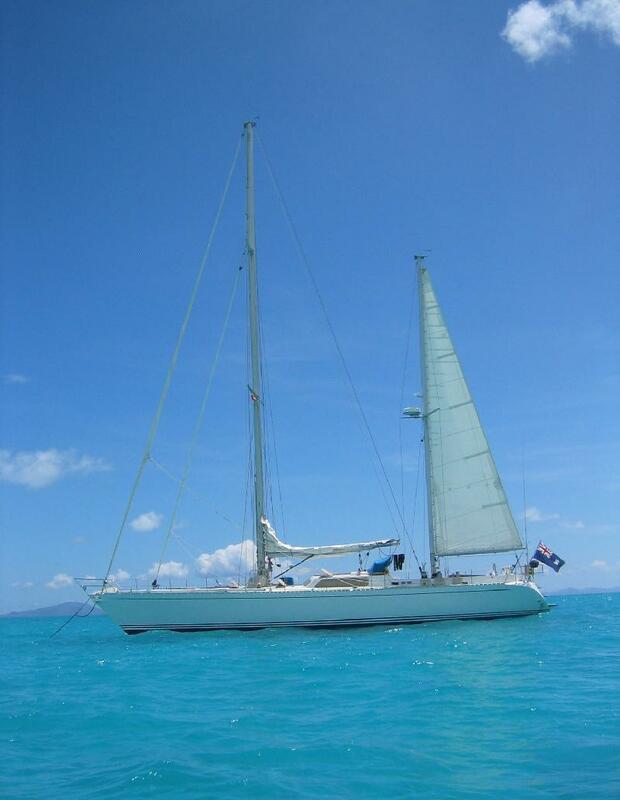 For those wishing to experience the warm Tropical waters a teak swim platform and ladder leads in from the transom. 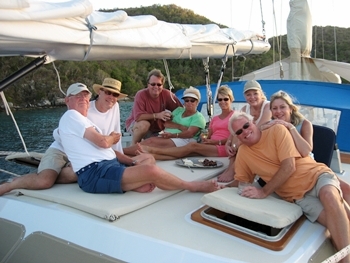 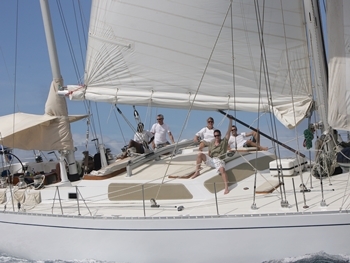 Sail yacht SHAITAN OF TORTOLA accommodates 10 guests in 4 cabins making her the ideal yacht for families and friends alike. 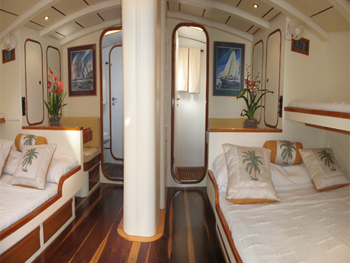 Two double cabins are forward directly adjacent to salon and offer double beds and a Pullman berth each, both have seating with a writing desk / vanity and en-suite facilities with shower. 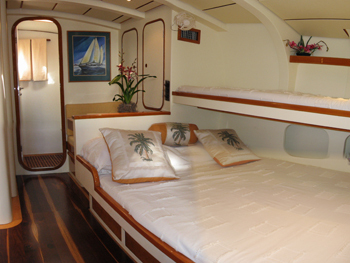 Aft, 2 further double cabins offer double beds, small sofa and en-suite facilities with showers. 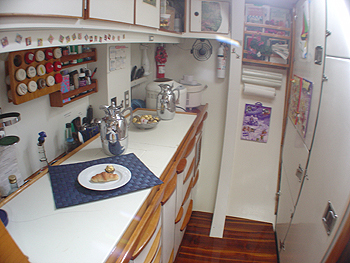 For smaller groups the mid divider wall in the fore cabins and aft cabins can be removed to create massive double suites.